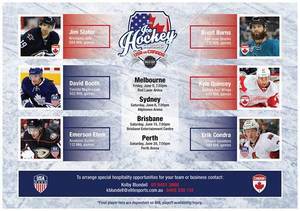 As a valued member of Australia’s ice hockey community we want you to be a part of the event! Ticket and hospitality packages are available through Ticketek athttp://premier.ticketek.com.au/shows/show.aspx?sh=IHC15PX. As a part of the ice hockey family you can enter promo code FACEOFF to receive a special discount on Gold and Silver tickets.